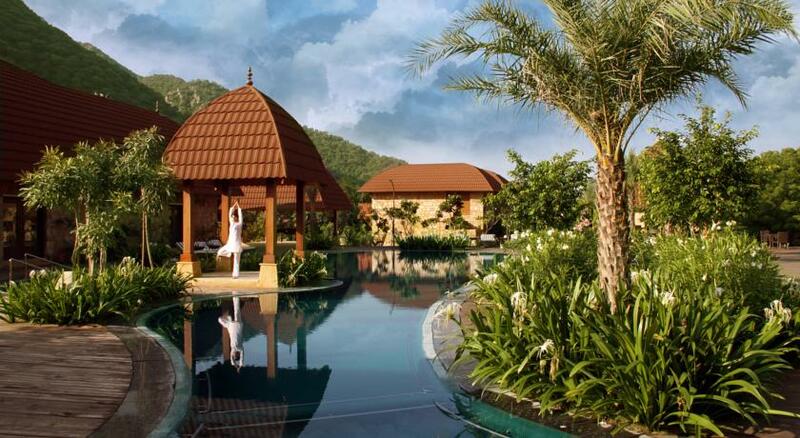 Ananta Spa and Resorts Pushkar is a five star hotel and is spread over 9 acres of land. 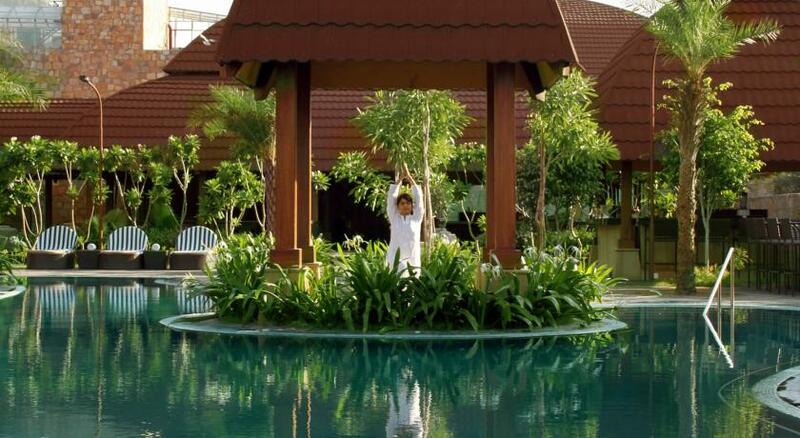 In Ananta Spa and Resorts, every effort is made to provide the guests with warm and comfortable. 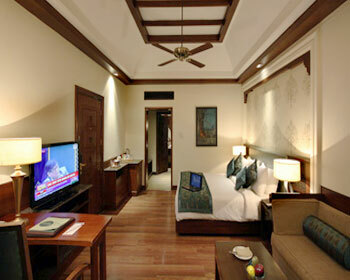 For the guests, the resorts offer two kinds of accommodation namely Deluxe Room and Super Deluxe Room. 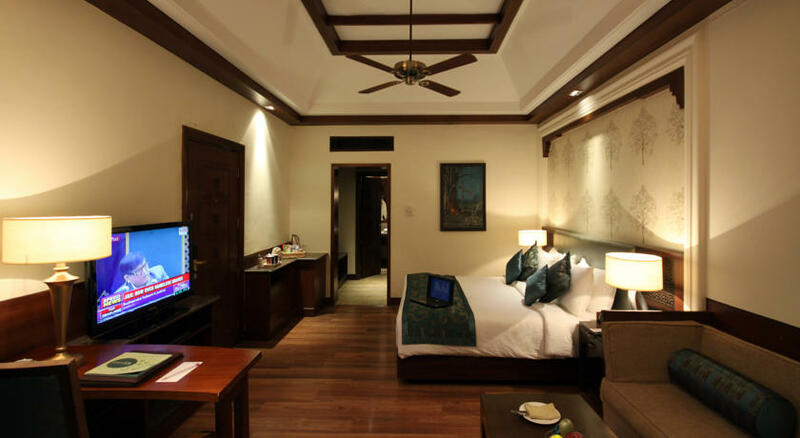 The hotel has a multi-cuisine restaurant to serve the guests with culinary delights, a coffee shop and a bar to relax. 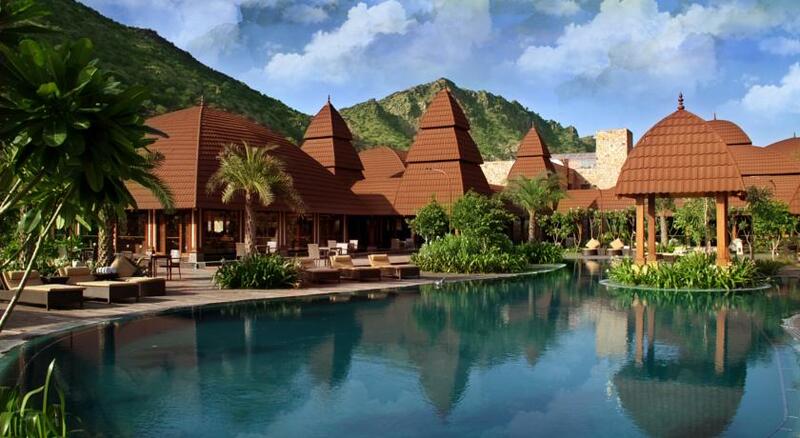 The resort also has a swimming pool for adults and a separate swimming pool for kids and also has a fitness centre. The resort also offers indoor games. 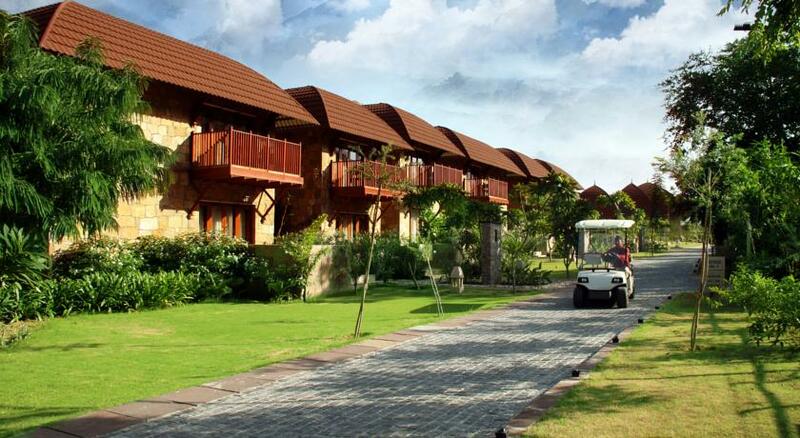 Apart from these, the resort offers spa, Jacuzzi, sauna and steam room which are meant for relaxation. 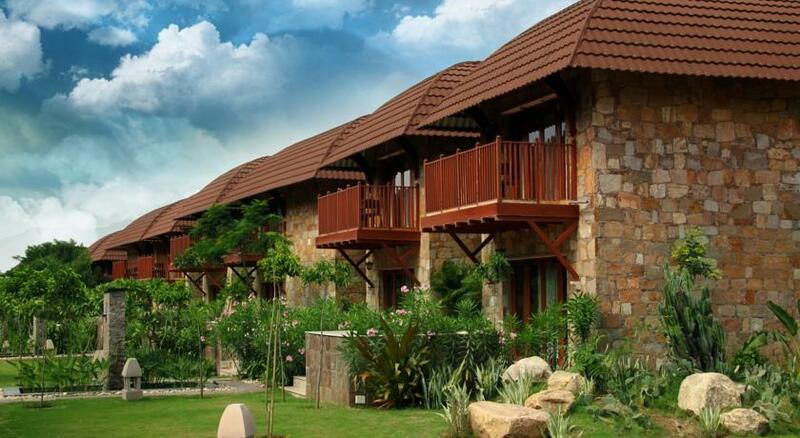 The hotel also has a banquet hall, banquet lawn, meeting room and conference hall meant for the corporate clients. Barbeque can be arranged on prior request. Similarly, the celebration of birthday or anniversary at the pool deck could be arranged with prior request and at additional cost. 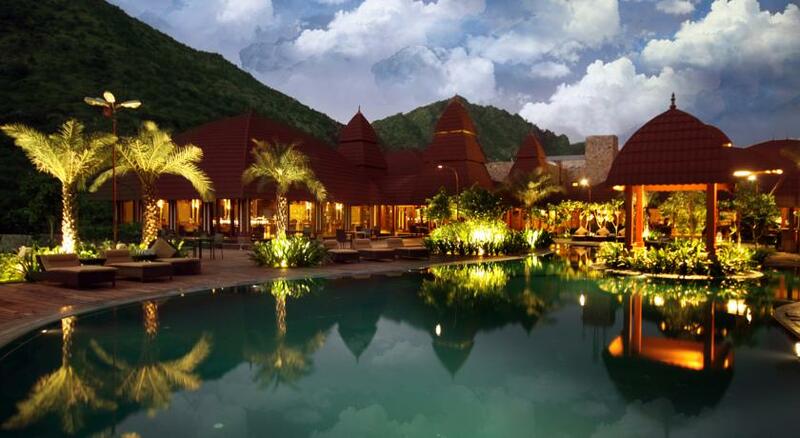 The hotel also arranges for sightseeing visits and some of the places of interests are Pushkar Fair, Brahma Temple, Savitri Temple, Rangji Temple, Aptaeshwar Temple, Varaha Temple, Pushkar Lake and Camel Safari. Ananta Spa & Resorts Pushkar is the smart choice by both business and leisure traveller for luxurious and comfortable accommodation in Pushkar. These are large and spacious rooms of 450 sq ft approximately and situated on the first floor and each room has a private balcony facing Aravali Mountains. Further, these rooms are also provided with amenities like spacious bathroom with shower cubicle, open shower, bathtubs, cable Television, 24 hours room service, mini bar, housekeeping, laundry/dry cleaning, welcome drink on arrival, in room tea/coffee maker, electronic safe, complimentary mineral bottle, High speed internet, Wi Fi, walk in wardrobe in all rooms, hair dryer, iron/ironing board, 37 inch LCD satellite television, doctor on call and parking. 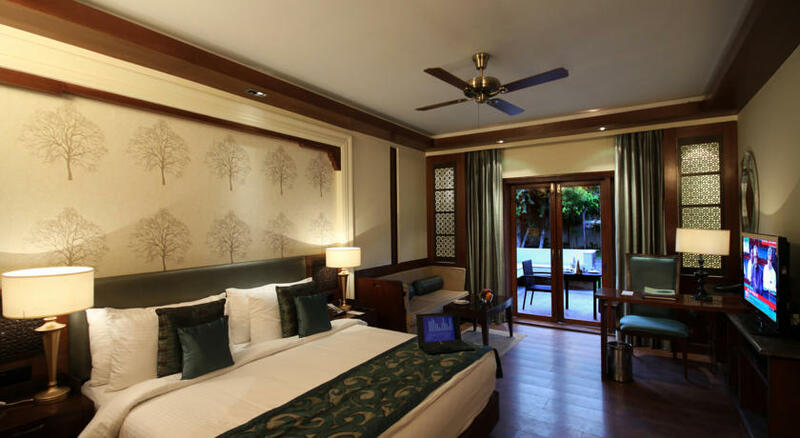 These rooms will provide comfortable stay for the travelers to Pushkar. Large, spacious and luxurious rooms of 500 sq ft approx is situated on the ground floor with a sit out that is surrounded with small lawn of lush green and also provides a good view of Aravalli Mountains. Each room has private space for outdoor barbeque. Apart from this, the rooms come with amenities like welcome drink on arrival, electronic safe, attached bathroom with bathtubs and shower cubicles, open shower, complimentary mineral water bottle, High speed internet, Wi Fi, wardrobe in all rooms, hair dryer, iron/ironing board, 37 inch LCD satellite television, extra spacious 740 sq ft room with wooden/marble floor and small seating area, in room tea/coffee maker, mini bar, parking and doctor on call. 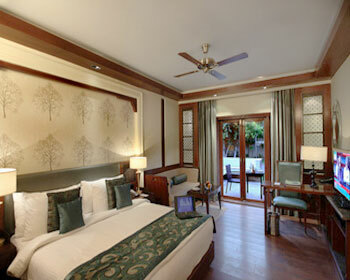 For all those looking for a luxurious accommodation these rooms are the excellent choice. 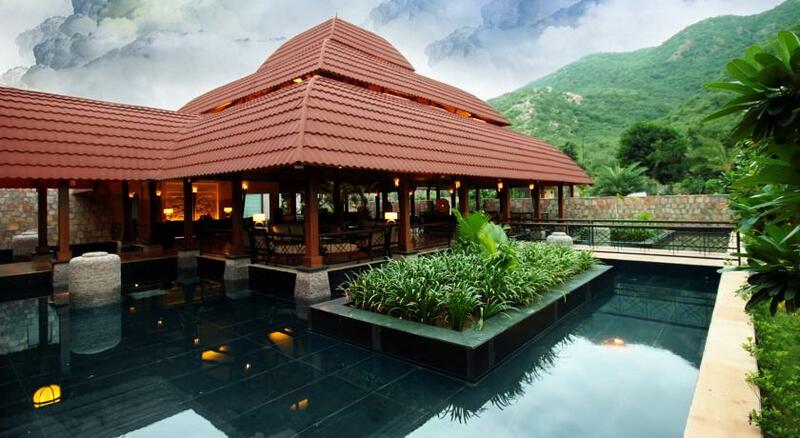 The 24 hours on site restaurant overlooks the poolside and Aravali Hills and provides lovely ambience for its guests. 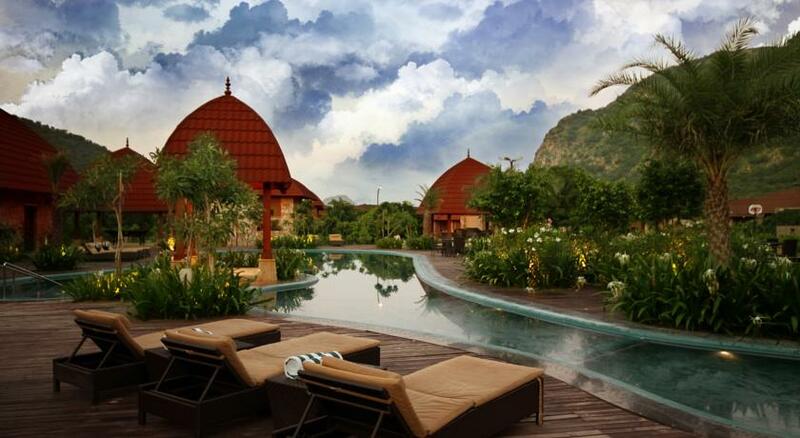 The restaurant is also designed in Balinese architecture which makes it warm and inviting. The restaurant serves scrumptious Indian, North Indian, Chinese and Continental cuisine. Our highly talented chef keeps experimenting and always ensures that the guests are provided with delicious and exotic dishes. 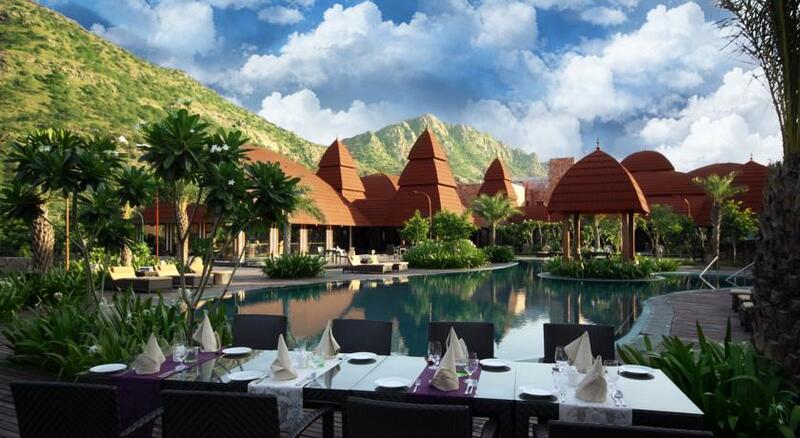 The restaurant offers in room dining and dine in facilities. It also serves outside guests as well. This is situated at the lobby level and on the opposite to the Oasis restaurant. The well stocked bar provides a perfect ambiance and is also well furnished. It serves a wide range of cocktails along with light snacks and is a perfect place to unwind at the end of the hectic day. You can just relax with your friends or have a chat about business with your client. The coffee shop is located along the pool side and is an open air. The specialty of it is that it can offer barbeques on prior request. Otherwise, you can have a sumptuous food will feast your palate. It is also a nice place to relax by sipping a cup of coffee.